I love discovering out of the way places, the spots that haven’t become overrun with tourists. Over my nearly two decades of living and traveling in Colorado, this has become increasingly difficult. With the population growth of the Front Range and the popularity of Colorful Colorado, nearly every destination, big and small, is getting covered by everyone from travel bloggers to various news outlets. However, the three towns I am going to highlight here fly relatively under the radar, although this will not last, so be a travel trendsetter and get there before your friends do. A stone’s throw from the Spanish Peaks, Trinidad is a place that most people have only driven by on I25, but lately, the town’s been getting a little buzz. 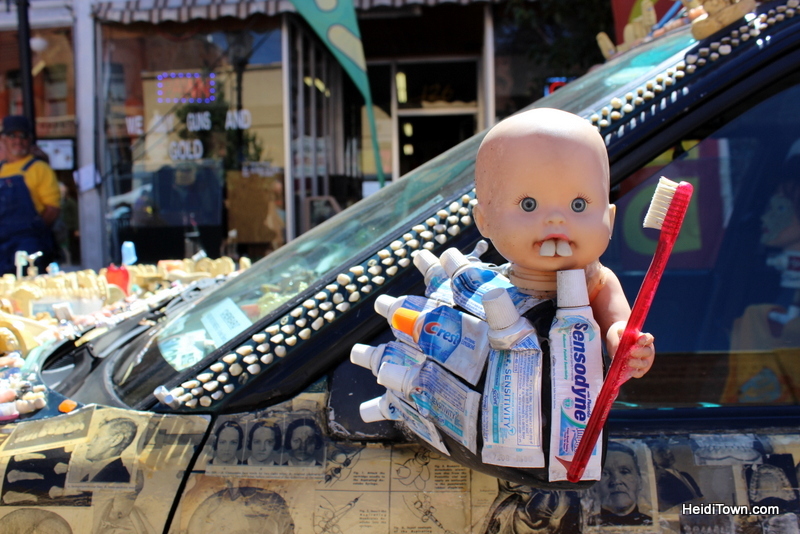 We visited in 2016 in order to attend ArtoCade, a fabulously weird art car event, and were pleasantly surprised by what we discovered in this Colorado town that sits along the Santa Fe Trail. Located just about 13-miles from the Colorado border with New Mexico, the flavor of Trinidad is distinctively southwestern with a whole lot of wild west flair. 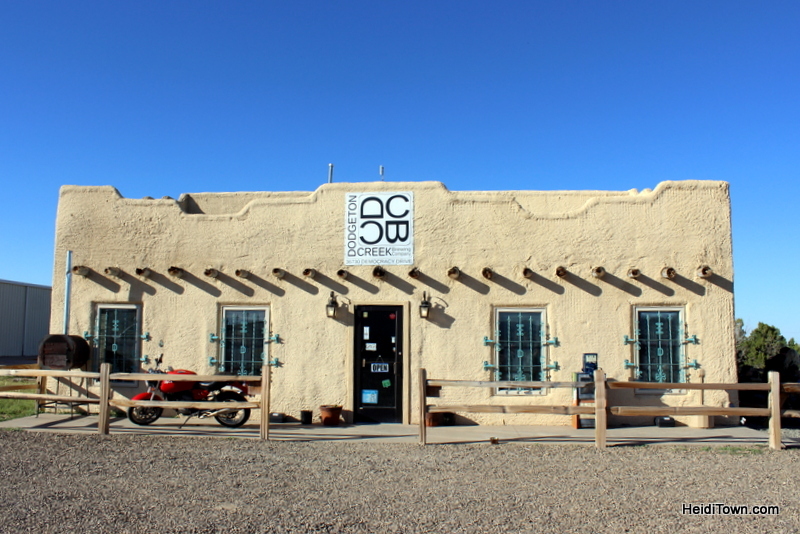 Business like the Dodgeton Creek Brewing Company are housed inside of squat adobe buildings that stay cool in the Southern Colorado sunshine. The architecture of downtown Trinidad is almost stately with splendid stone and decorative cornices. This blend of styles—southwestern with Victorian-inspired architecture—is a reflection of Trinidad. It’s a city where the past is alive and well and yet the town is progressive. 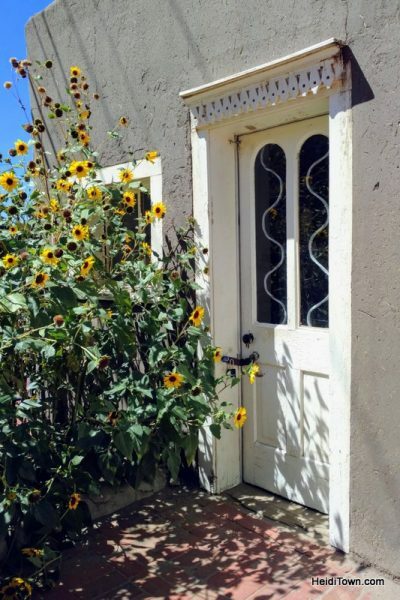 Trinidad features one of the state’s coolest little bed and breakfasts, Heart of Trinidad B&B. This lodging property is also a live music venue, movie venue and home of Gilley’s Outdoor Saloon. Next door you’ll find one of the only retro skating rinks still operating in Colorado, Skateland. ArtoCade is one of the most quirky events that I’ve ever attended. It’s highly entertaining and I highly recommend it. While in town, munch on pizza at Bella Luna Pizzeria and don’t miss out on the singing waiters at Rino’s Italian Restaurant. 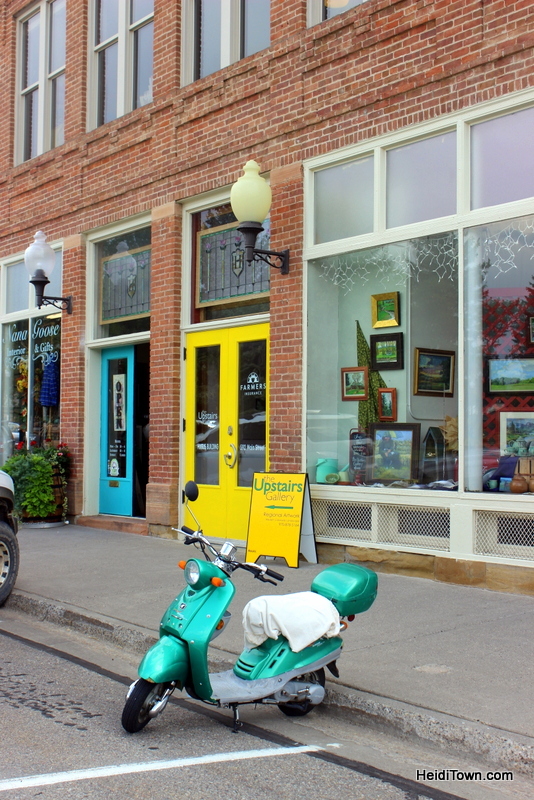 Friendly and eclectic, Trinidad, Colorado is absolutely worth a visit. Longtime readers of HeidiTown have read about the North Fork Valley more than once here. Located about an hour and 20-minutes southeast of Grand Junction, I’m not shy about telling people that I left my heart in Paonia during my very first visit to the area. For me, this place is nostalgic because I grew up in a similar type of farming community in the Pacific Northwest. 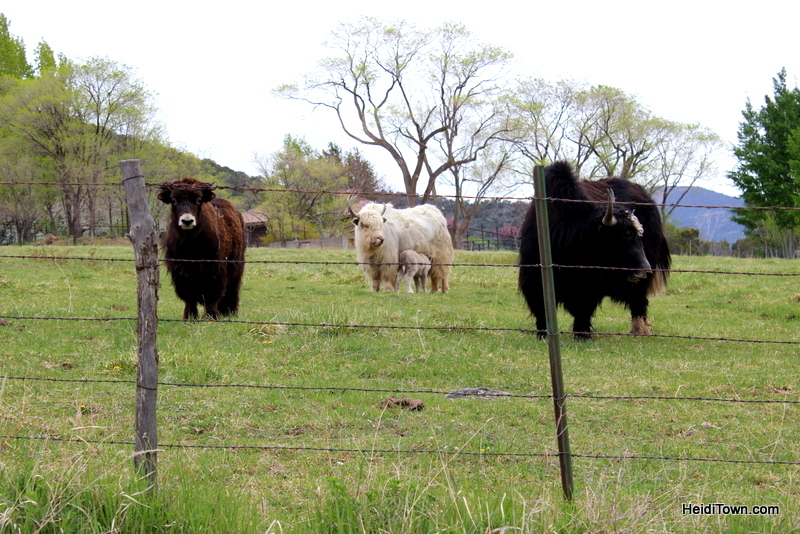 Paonia, Colorado has the prettiest cows. The North Fork Valley, in Delta County, is made up of the towns of Crawford, Hotchkiss and Paonia. The latter is the most earthy of the three and it’s possible to stay here for three days and only consume food that was grown or raised within a 10-mile radius of the town. 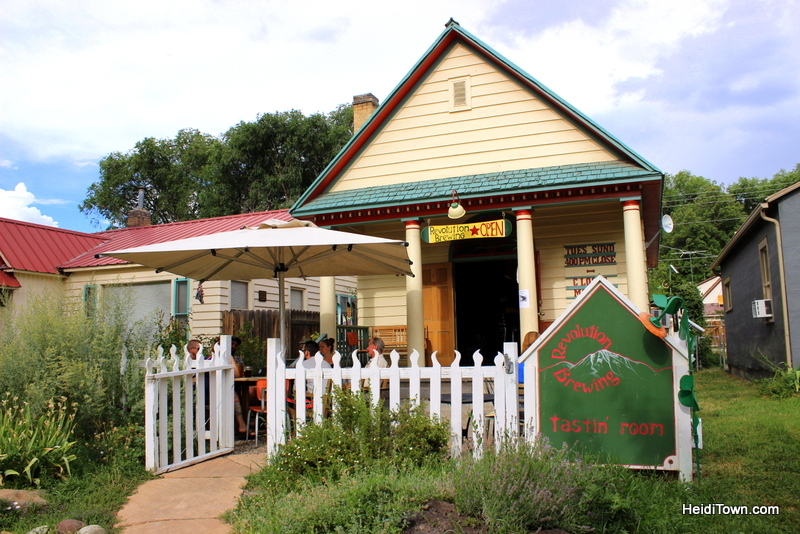 It’s an authentic farm-to-table kind of place which still isn’t the easiest thing to find in Colorado. 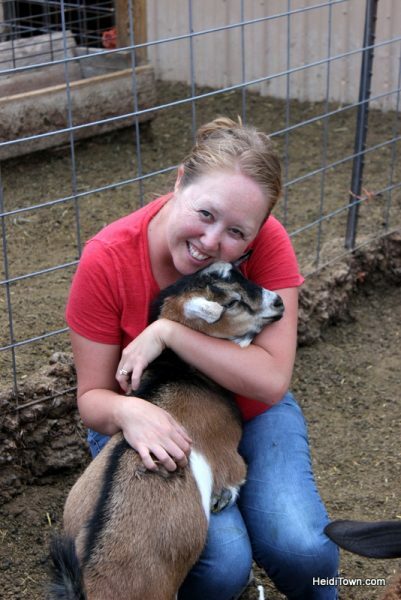 Visit Paonia’s The Living Farm & you might just get hugged by a goat or a sheep. I first visited the North Fork Valley in 2013, and since then, I’ve watched the area receive more and more recognition, but it still flies under the radar. It’s not big and it’s not glitzy. It the type of place where you’ll run into farmers at the brewery and hear local musicians chatting at Louie’s Pizza where there will likely be a local band playing in the garden patio. Revolution Brewing is a friendly sort of place. Visitors can bike to farms and vineyards, splash in the North Fork River or grab a cup of coffee at Berg’s Harvest Mercantile. It’s the kind of place where you should stop and smell the roses or, as is more often the case, stop to eat some roadside apricots. A fun time to visit this area is during Farm to Fiddle Summer Festival in Hotchkiss in August or Mountain Harvest Festival in September. 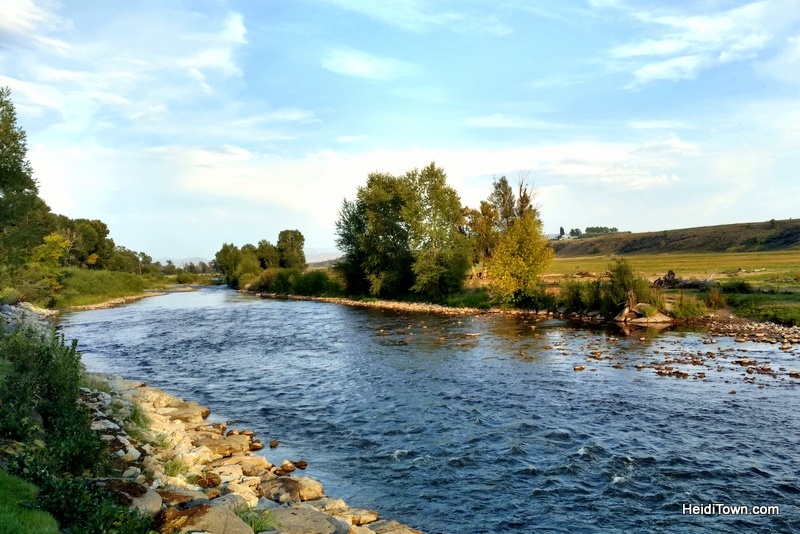 When I tell people about Meeker, the first question I always get is, “Where’s Meeker?” Meeker is located about an hour and 40-minutes west of Steamboat Springs and it has a sweet charm that’s hard to find in today’s busy world. It’s the kind of place Norman Rockwell used to paint and visitors will be smitten with the kindness of the locals and the peacefulness of the town. The town has a lot to offer tourists but is still relatively unknown unless you’re a hunter or a resident of Colorado’s Western Slope. 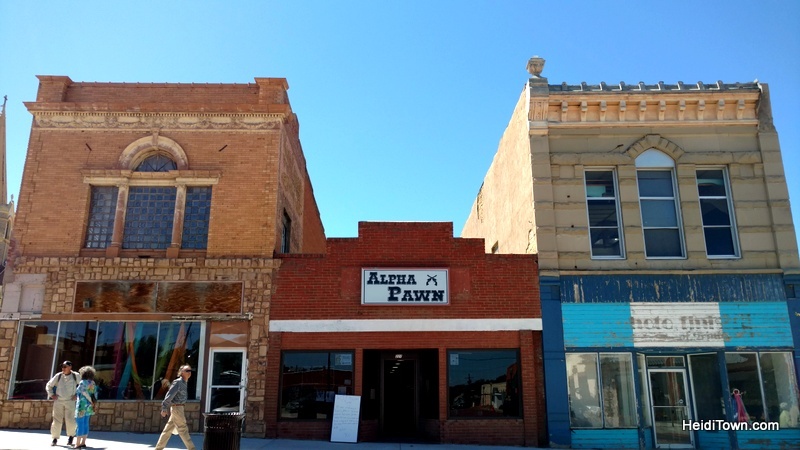 You’d expect this tiny town to be sleepy, and I’m sure at times it is, but there’s an active little downtown with wonderful shops like Country Raised and Nana Goose Interiors & Gifts. I recommend stopping at Blanco Cellars & Little Cheese Shop to pick up items for a riverside picnic. The White River runs adjacent to the town and you’ll find nice picnic spots along its shores. The lovely White River in Meeker, Colorado. 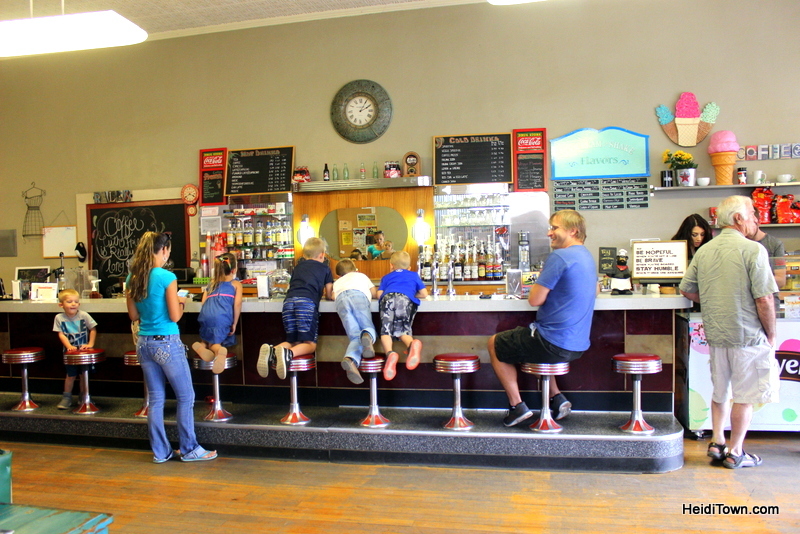 Don’t miss Meeker Drug, a throwback drug store that includes a soda fountain. On a hot day it’s not unusual to find kids lined up on the stools here, just like kids from fifty years ago. We had the best time chatting with locals at Chippers, a downtown watering hole where you’ll get scuttlebutt on everything from fishing to motorcycles. The best time to visit Meeker is during Jammin’ Lamb Festival in September. This culinary event runs in conjunction with Meeker Classic Sheepdog Trials and is set to become one of Colorado’s finest gourmet affairs. How do I know this? I was lucky enough to be a judge last year and the lamb dishes were creative and scrumptious. Thanks for the tip! It sounds like 4th of July would be a great time to be in Meeker. I did not know Meeker had the longest running rodeo in Colorado. I’ll put that info in my back pocket for future posts! Thanks for stopping by HeidiTown.